It’s September already, and that means it’s time for another monthly post where I link light novel-related articles and such. I’ve decided to change the name of this little feature, since I’ve been including news, site business, and various ramblings as well in recent months. “Light Novel Notes” feels more indicative of what these posts entail. Also, I’m going to have the current month in the title from now on, rather than refer to the previous month (i.e. the time in which the various news and linked articles were originally posted). Are you still with me? The Devil is a Part-Timer (vol 2), Is it Wrong to Try to Pick Up Girls in a Dungeon? (vol 3), A Certain Magical Index (vol 4), Sword Art Online (vol 5), Black Bullet (vol 1), Spice and Wolf (vol 15), and Attack on Titan: Harsh Mistress of the City (vol 1) all released in August! On September 15th, prepare for the Rising of the Shield Hero (vol 1). Then on September 22nd, you can read Kagerou Daze (vol 2), Pandora Hearts: Caucus Race (vol 2), Strike the Blood (vol 1), and Kingdom Hearts: Chain of Memories (complete omnibus). Finally on September 29th, Attack on Titan: Harsh Mistress of the City (vol 2) will release, completing that two-part series. I have updated the preorder page! Along with links to where to buy upcoming light novels online, I have also added notes that detail which books are paperback, hardcover, and/or ebooks. There are also a few lists of various notes at the top of the page, which will hopefully be helpful for everyone. At some point this month I plan to post a bunch of reviews! Most will be for the novels covered in the summer reading program. Speaking of which, thanks to everyone who participated in the three-month LN reading program! I enjoyed reading everyone’s input. Things slowed down a lot in August, but it was still fun to write the posts each week. If I bring up the reading program again, I will probably limit it to one novel in a month, and it will probably be a once-in-a-while endeavor. A new release to watch out for from Haikasoru (Viz Media): Goth, by Otsuichi. 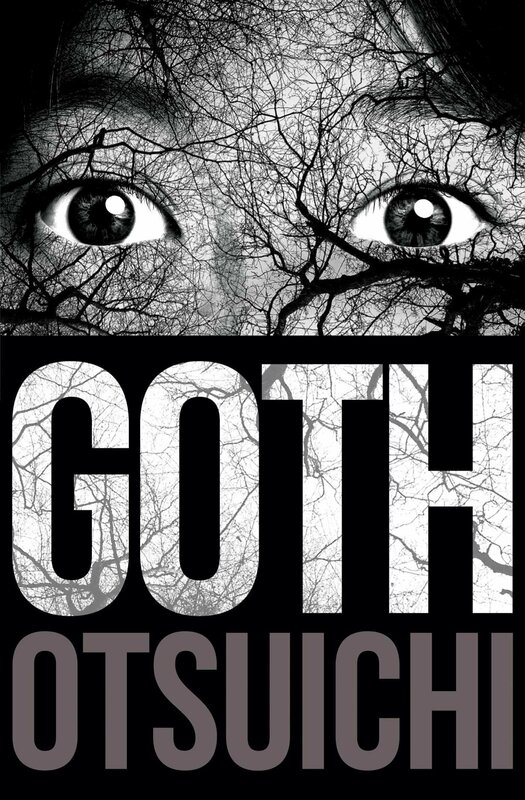 If that title sounds familiar, that might be because this book was previously released (as “Goth: A Novel of Horror“) in 2008 by Tokyopop as part of their lineup of novels (which included a variety of light novels). Otsuichi is also the author of Calling You and one of the stories in Faust. The release from Haikasoru will also include a bonus novelette “Morino’s Souvenir Photo,” and will release in both paperback and ebook formats. Synopsis: Morino is the strangest girl in school—how could she not be, given her obsession with brutal murders? And there are plenty of murders to grow obsessed with, as the town in which she lives is a magnet for serial killers. She and her schoolmate will go to any length to investigate the murders, even putting their own bodies on the line. And they don’t want to stop the killers—Morino and her friend simply want to understand them. Attack on Titan: Harsh Mistress of the City will release in two volumes. The first half of the story was released in volume 1 on August 25th, while the second half will arrive in volume 2 on September 29th. Just thought I’d make that clear, since before it looked like it was going to be an omnibus! To clarify, BACCANO! is getting a hardcover print edition plus the ebooks. It will be coming out every four months, starting w/v1 in April. Fans of Baccano! are in luck, as it has been announced on Yen Press’s Twitter that this series will release in hardcover and ebook formats. The first volume will arrive April 19th! As for The Irregular at Magic School, it looks like that series has been delayed. The first volume is now scheduled for April 19th next year. Recent cover announcements: Kagerou Daze (vol 2), Sword Art Online: Progressive (vol 3), A Certain Magical Index (vol 5), and Legend of the Galactic Heroes (vol 1). Sentai Filmworks has licensed Aura, the anime film adaptation of the light novel by Romeo Tanaka (author of Humanity Has Declined). Its English release date appears TBA. Vampire Hunter D readers might want to note that the anime OVA has recently released in English for Blu-Ray and DVD. Sega has released a video of the opening movie for the Dengeki Bunko Fighting Climax video game, which will release on October 6th for Playstation Vita and Playstation 3. Speaking of Dengeki Bunko Fighting Climax, in Japanese arcades there will be some new characters added to the game: Tatsuya Shiba (The Irregular at Magic School), Quenser Barbotage (Heavy Object), and Emi Yusa (The Devil is a Part-Timer!). Chances are these will eventually be added to a future console release, perhaps along with some other characters. More Naruto-themed light novels have been announced in Japan: Itachi Shinden (which will be told in two volumes) and Sasuke Shinden. These will release in September and October, respectively. The 11th and final volume of Haganai: I Don’t Have Many Friends (AKA Boku wa Tomodachi ga Sukunai) has released in Japan. 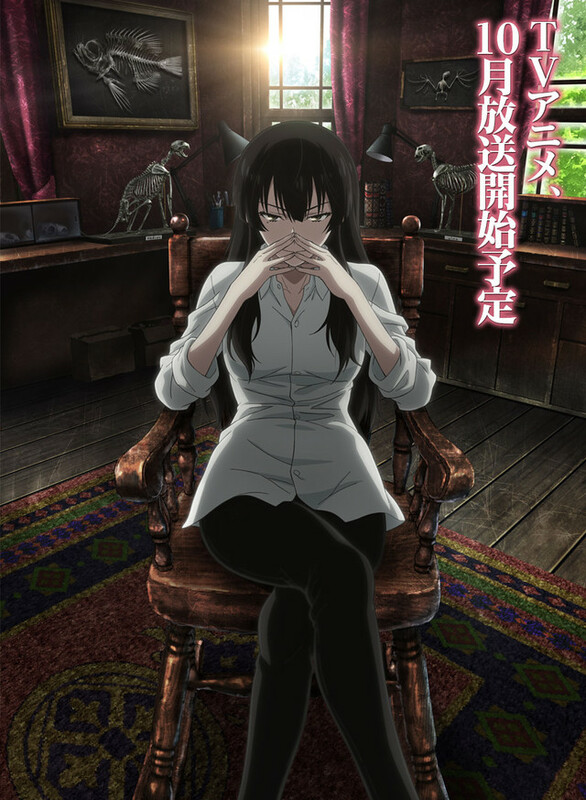 A title that piques my interest: A Corpse is Buried Under Sakurako’s Feet, an anime based on the light novel mystery series by Shiori Ota, will have a preview screening in September before its premiere on October 6th. The Overlord light novel series has sold over a million copies across its nine volumes in Japan. A new anime project by Production I.G. for Legend of the Galactic Heroes will appear in 2017. A Fairy Tail novel spin-off titled Oedo Fairy Tail will arrive in Japan this October. The light novel Myriad Colors Phantom World will receive an anime adaptation courtesy of Kyoto Animation. A video review of Black Bullet (vol 1) by Justus R. Stone. A review from Aki Mage for Sword Art Online (vol 1). Some talk on light novels at Geek Pub Talk, which includes some focus on Mimizuku and the King of Night (which we covered in the reading club! ), as well as Iris on Rainy Days (which I have reviewed!). A quick review of CtG Raising from Zero a Digital Girl (vol 1) by Windborne. Some thoughts on All You Need is Kill at Contemporary Japanese Literature. A post I meant to link before! At Organization Anti-Social Geniuses, you can read an interview with Kurt Hassler, director at Yen Press. I found it a very interesting read, and it seems to have confirmed a few things I have felt regarding English light novels over the past year or two. Packed with information like always. You do great work. Thanks for all the hard work!! Much appreciated!!! I don’t consider myself “in luck” when a novel gets a hardcover release. That’s the worst possible luck. Namely because the price is then jacked up to $24 or such and they REALLY want you to buy the ebook version which is only slightly less than the cover price. I mean to be in luck would be if they had both soft and hardcovers AND ebooks. So collector’s can get their hard cover and those that just want to read the story get the softcover. Considering this means they’ll try to force me to buy the ebook. I think I’ll stick with the Baka-Tsuki versions I have. If anything I’m not paying a dime for it unless they have softcovers. Well it’s like they say, you can’t please everyone! Baccano fans have been wanting an official release of the LNs for years, and it’s always been a rather unlikely dream until just recently. I feel the Yen Press novels have always been priced fairly, and online at least you can get some really great deals. I picked up the hardcover of The Isolator for about $13.50, which I don’t think is that huge of a jump from your average paperback.